This Art of Indian artists by presenting you the most striking marble Handicraft Item made by the Creative Rural Artists of Rajasthan Indian. 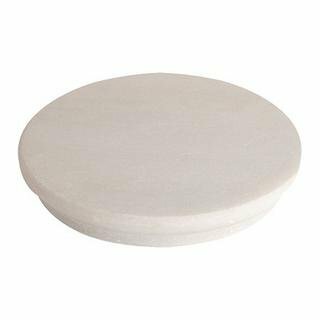 This Handmade Italian White Marble Roti Maker/Rolling Board (Chakla) for the frequent use in the kitchen. This perfectly finished base for a perfect grip and Balance. It’s a frequently useful & durable item for everyone and you can also use as a gift to Dears. The size of this roti maker has”10″ and 12″Inches. 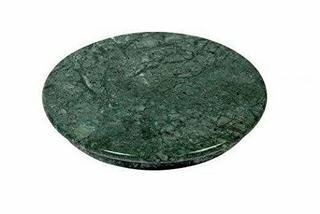 Note: Product could be some different only from display image because it’s made of pure natural marble stone.Buy an original product only from Sehar Crafts. 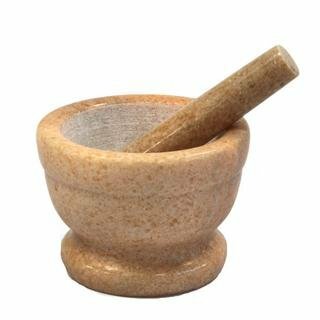 Sehar Crafts Plawa Pestle Set,Masher Spice Mixer,Okhli,Musler,Kharal 4" best use for Kitchen,Black Color Marble. Sehar Crafts 9 Inches Handmade Marble Chakla, Roti Maker Kitchen Utensil Heavy Dual.